Be the first to share your favorite memory, photo or story of Susan "Suzy". This memorial page is dedicated for family, friends and future generations to celebrate the life of their loved one. 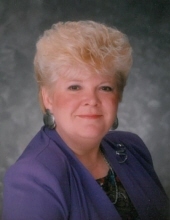 Susan A. Noordyk “Suzy”, age 74, of Plymouth went to be with her Lord on Wednesday, March 27, 2019. She was born in Plymouth on November 28, 1944 to the late Arlina and Robert Hanson Sr. She attended local schools and graduated from Waldo High School. She furthered her education and received an Associates Degree in Marketing at Lakeshore Technical College. She was currently a radio host at The Breeze Radio Station. Suzy took great pride in the audience she had attained over the years. Suzy was a member of First Reformed Church in Oostburg where she sang in the choir. She had a lifelong passion for music, singing in multiple groups such as numerous quartettes and a southern gospel trio Forever His. She was also a member of Sound Celebration Women’s Chorus of Plymouth. Suzy was also a treasurer for over 10 years for the Sheboygan Co. Right to Life, Inc.
Suzy was an avid Packers fan and enjoyed coaching from her purple recliner. She also had a love for her family, who meant the world to her, making many memories with both her grandchildren and great-grandchildren. She also loved spreading the word of The Lord to those around her. Suzy is survived by a daughter Jennica (Allen) Krebsbach; a son Joel (Patricia) Noordyk; six grandchildren, Nathan (Leah) Murray, Megan (special friend Paul) Murray, Matthew (Cassie) Murray, Lita Noordyk, Marilee Krebsbach and Claudia Noordyk; four great-grandchildren, Owen, Elaina, Isaiah and Adalynn; two brothers, Robert (Gloria) Hanson Jr. and Richard (Mary) Hanson. She is further survived by Ed Murray and Frank Ramaker, nieces, nephews and many friends. Along with her parents, Suzy was preceded in death by two daughters, Jodi Murray and Kimberly Noordyk and a nephew Paul Hanson. A Memorial Service for Suzy will be held at 4:30 PM on Sunday, March 31, 2019 at Zimmer Westview Funeral and Cremation Care Center, W2132 Garton Rd., Sheboygan, with Rev. Bob Rook officiating. The family will greet visitors, on Sunday at 2:00 PM until the time of service. Suzy will be laid to rest in Waldo Cemetery. A memorial fund has been established in Susan’s name. The family would like to personally thank both the Plymouth Police Department and the Plymouth Volunteer Fire Department for the amazing comfort and care given. The family would also like to thank Glenn Lyon for his dedication in caring for Suzy and being such a good friend. To send flowers or a remembrance gift to the family of Susan "Suzy" A. Noordyk, please visit our Tribute Store. "Email Address" would like to share the life celebration of Susan "Suzy" A. Noordyk. Click on the "link" to go to share a favorite memory or leave a condolence message for the family.